The American Academy of Pediatric Dentistry (AAPD) recognizes that dental care is medically necessary for the purpose of preventing and eliminating orofacial disease, infection, and pain, restoring the form and function of the dentition, and correcting facial disfiguration or dysfunction. Behavior guidance techniques, both nonpharmalogical and pharmalogical, are used to alleviate anxiety, nurture a positive dental attitude, and perform quality oral health care safely and efficiently for infants, children, adolescents, and persons with special health care needs. Selection of techniques must be tailored to the needs of the individual patient and the skills of the practitioner. 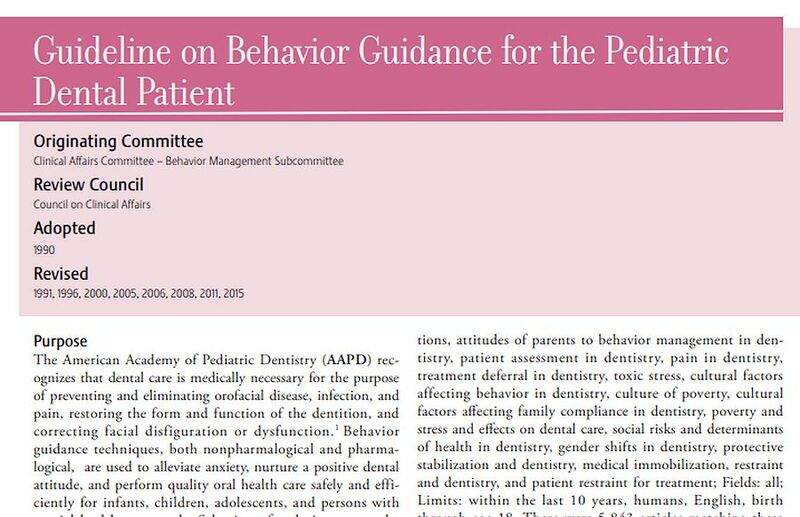 The AAPD offers this guideline to educate health care providers, parents, and other interested parties about influences on thebehavior of pediatric dental patients and the many behavior guidance techniques used in contemporary pediatric dentistry. 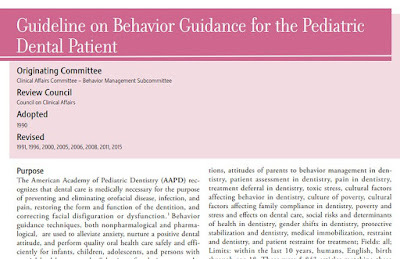 Information regarding protective stabilization and pharmacological behavior management for pediatric dental patients is provided in greater detail in additional AAPD clinical practice guidelines.